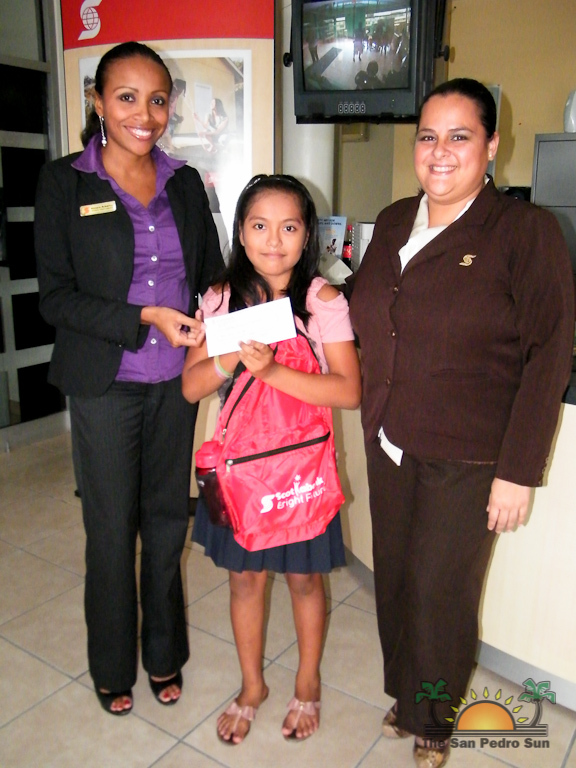 Five deserving primary school students received grants along with school bags and supplies from San Pedro branch of Scotiabank Belize on Tuesday July 10, 2012. The grants were made possible as part of Scotia’s efforts to “Give back to the community” in which they exist and come from the bank’s Education Fund. Receiving their grants were Janelly Aban, Hazel Hyde and Kelly Carillo, from New Horizon SDA School. From San Pedro RC School were Nayeli Longsworth and Darwin Albeño. 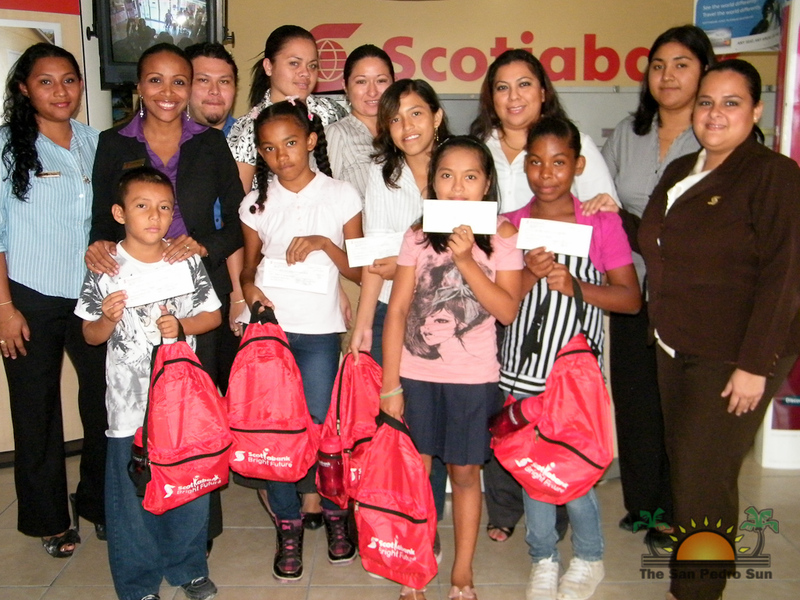 The students received a cheque in the amount of $300.00 made out to the relevant school, a backpack and school supplies. The money is to be used towards books, registration, uniforms or any expenditure related to the student’s education. According to acting Office Manager at the San Pedro Branch, Roanne Badillo this is the sixth year that Scotiabank Belize is giving out the grants. 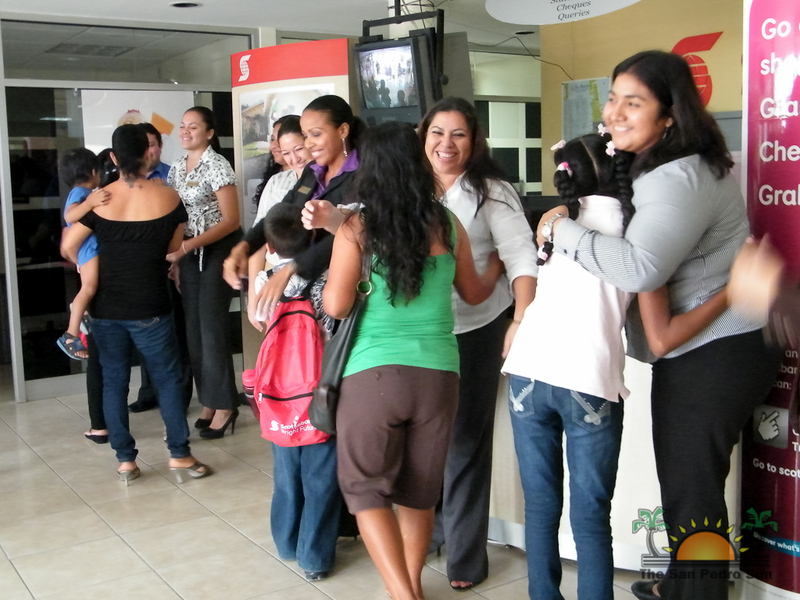 Funding for the grants is done by individual branches through fundraising activities. 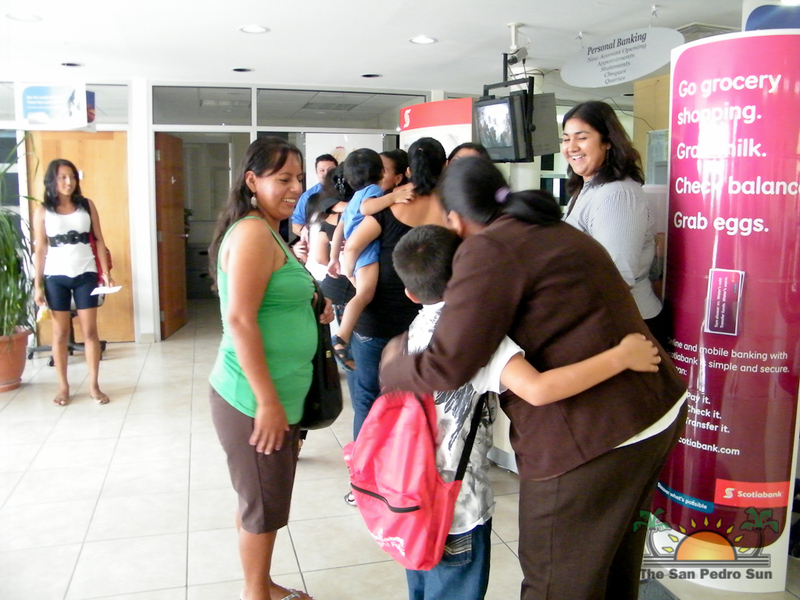 The students are chosen based on their grades as well as their financial situation. Applications for the grants go out yearly in early May and in order to apply, each student must submit an essay explaining why they should be chosen to receive the grant. 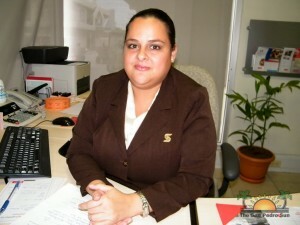 These grants are available to any student attending the government aided schools on the island. 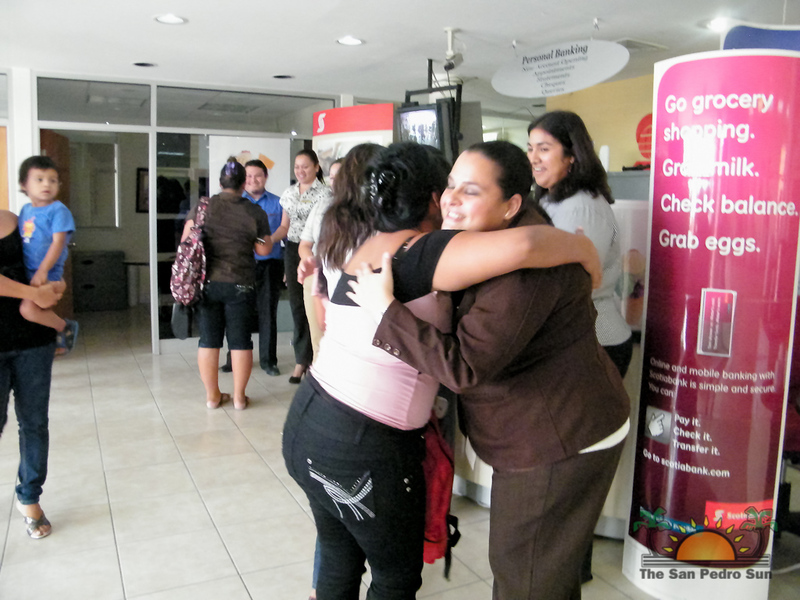 Following the presentation of the cheques and backpacks, Scotiabank’s lobby was filled with smiling faces and much hugs as students and family members showed their appreciation for the much needed assistance. 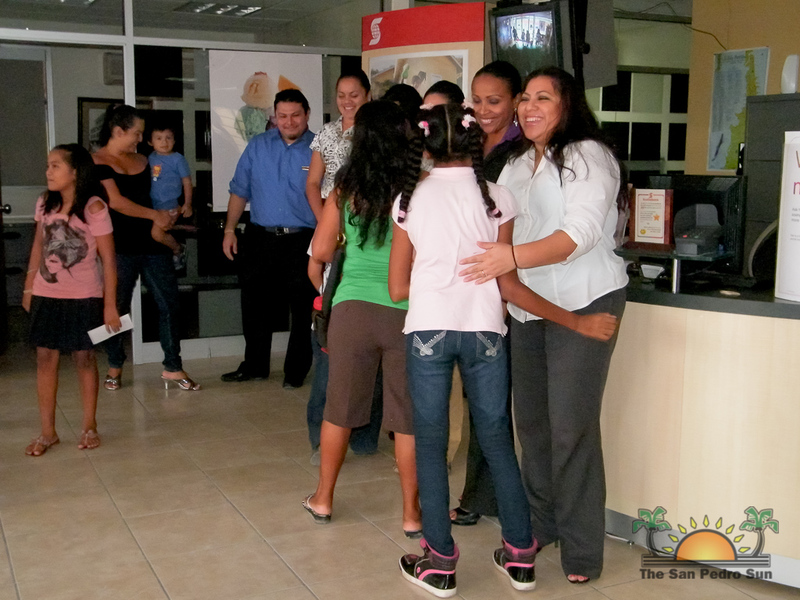 The San Pedro Sun joins Scotiabank in congratulating all five students on their grants and wishes them the best in the coming school year.